Artists in Residence Program – The Upper Darby Arts & Education Foundation has partnered with the Upper Darby School District to establish a formal Artist in Residence Program. In addition, the Performing Arts Center has contracted with many visiting artists to include school performances and workshops. These have included professional children’s theater, dance and music events. Building on these successes, the Foundation is creating an ongoing structure and source of funding dedicated to promoting and funding artists in residence in the district’s 14 schools. The program will target a wide range of artists including composers, authors, dancers, musicians and visual artists. The Foundation would like to take advantage of the resources offered by The Kennedy Center, The National Endowment for the Arts, the Pennsylvania Council on the Arts and regional performing and visual arts organizations. EITC contributions will enable the Foundation to provide the matching funds that are necessary for these programs. The Upper Darby Performing Arts Center adds an important dimension to the district’s arts program by making professional artists available for public performances. Advanced Placement Programs – Upper Darby High School has a long history of offering Advanced Placement courses and having its students succeed in taking the AP courses. The High School offers Advanced Placement courses including Math, English, Biology, Physics, Chemistry, Government and Politics, US History, European History, Calculus, French, Spanish, German and Art. The Upper Darby Arts & Education Foundation has made grants that benefit these advanced academic courses. EITC funds will allow the Foundation to significantly expand its support of the High School’s Advanced Placement program. The funds will support the purchase of instructional materials that enhance the existing programs, especially in the subject areas of Biology, Physics, Chemistry and Art. In addition, the funds will support advanced professional development for teachers in the AP program so that they may continue to be on the forefront of instruction in their respective fields. Brad Schoener MusicMan Camp – The Brad Schoener MusicMan Camp was made possible by a grant from Phillies Charities, Inc. in 2013. This two-week summer program, held at Beverly Hills Middle School in Drexel Hill, offers ‘hands-on’ instrumental music experiences for the children of Upper Darby grades 4-9. Young musicians are able to begin a new instrument or work on mastering skills of their current instrument, while exploring rhythm, melody, harmony, improvisation, and performance. Children are able to work with professional musicians in drum circles, SmartMusic software and iPad technology classes, improvisation workshops with live musicians, discover harmonies thru ukuleles and keyboards, and even incorporate music composition with movement. EITC contributions can support instrument rentals/purchases, camp and lesson scholarships, guest musicians, and additional staffing as the camp is growing each year! 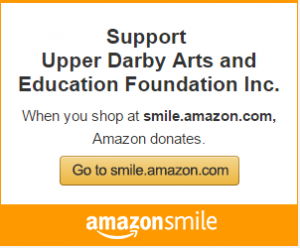 A great way to support the young musicians of Upper Darby! Engineering Programs – Upper Darby High School offers a strong, advanced academic Engineering curriculum. The Engineering curriculum includes the following six courses: Drafting and Design, Architectural Drafting and Design 1 and 2, Computer Assisted Drawing (CAD), and Engineering Drawing and Design 1 and 2. In the Engineering Drawing and Design courses students learn drafting and problem solving techniques used in engineering and manufacturing. The Engineering program would benefit greatly from EITC funding. Additional resources will be used to enhance the curriculum and keep pace with the rapid technological developments in this field. In addition to the course work, for over 15 years, the Upper Darby Engineering program also has engaged in a partnership with Boeing Helicopter in Ridley Township. The Boeing/Upper Darby Partnership exposes students to real world engineering and manufacturing. Students travel to Boeing Philadelphia and spend their morning at the factory and are taught by the professionals themselves. Years after graduation, engineering students remember the program and value the skills and attitudes learned from it. Hundreds of students that are now professional engineers or technicians have stated that the program gave them an edge and motivation in the pursuit of their careers. K-2 Literacy Initiative – The Upper Darby Arts and Education Foundation is partnering with the Upper Darby School District to infuse technology into the teaching of Reading in Grades K-2 with the goal of ensuring that all students learn to read by the end of 1st grade. Technology is essential for making the components of the School District’s reading program effective for a wide array of students. The infusion of numerous electronic resources will provide students with the ability to project and manipulate concepts and provide them with the opportunity for deeper and more engaging practices. These new tools will allow teachers to provide a multi-sensory approach that addresses the learning styles of all students, especially true in the area of vocabulary development. The Upper Darby School District serves an increasingly diverse population of more than 80 different languages and over 60% of students meeting low-income status set by the Federal Free/Reduced Lunch Program. EITC contributions can support the young readers — our future leaders! “Let’s Get Ready” College Prep Program – Let’s Get Ready provides low-income high school students with free SAT preparation, admissions counseling and other support services needed to gain admission, enroll and graduate from college. Services are provided by volunteer college students who also serve as role models and mentors. 92% of Let’s Get Ready high school participants enroll in college versus 47% of low-income students nationally. Let’s Get Ready students increase their SAT scores on average by 130 points. Let’s Get Ready students graduate from college at 5 times the national average rate for low- income students. Many of the Coaches and Site Directors who work with Upper Darby students are UDHS alumni and graduates of the Let’s Get Ready program! Robotics Program – Royal Assault is a competitive FIRST Robotics student team from Upper Darby High School that has competed all over the United States, from Pittsburgh, PA to Houston, Texas. The team, which began in 2000, is a year round team, not only focusing on FIRST Robotics events, but incorporating community service projects and challenging educational opportunities. Teachers and administrative staff in the district serve as adult mentors for the Team. Each year, the Robotics Team attracts over 30 high school students interested in engineering, marketing, communications and related fields. From January through March the students work on a robot for the FIRST Robotics competition, which begins at the regional level and extends to the national level. The Team has developed a strong partnership with Drexel University, which further enhances the educational value of this program. Students explore the limitations of robot design, i.e. mechanical physics, torque and gear ratios, and focus on programming robots to accomplish set design challenges. Students also write and test code for autonomous programming of a robot. Funding from EITC donations will support the Robotics Team and the Robotics Programming Course that stimulate and reward student creativity and hard work.